The former substitute teacher, Ryan Fish, was arrested last week and charged with overseeing the "fight club"
Montville's assistant superintendent and school board president spoke briefly Thursday following the arrests of three school administrators who are charged with failing to report a fight club being run at the high school. A Connecticut school superintendent, principal and assistant principal were arrested on charges of failing to tell authorities about an alleged student "fight club," according to state police. Montville Superintendent Brian Levesque, 45, of Brooklyn, Principal Jeffrey Theodoss, 64, of Shrewsbury, Massachusetts, and 59-year-old assistant principal Tatiana Patten, of Niantic, are all charged with failing to report abuse. The three administrators have been placed on leave pending the outcome of the police investigation and an internal school probe, Assistant Superintendent Laurie Pallin said. The former substitute teacher, Ryan Fish, was arrested last week and charged with two counts of risk of injury to a child, four counts of second-degree reckless endangerment and breach of peace. The 23-year-old from Bozrah, who was accused of overseeing the "fight club," was fired from the school in October after videos of fighting in his math classroom surfaced, state police said. He pleaded not guilty to charges. 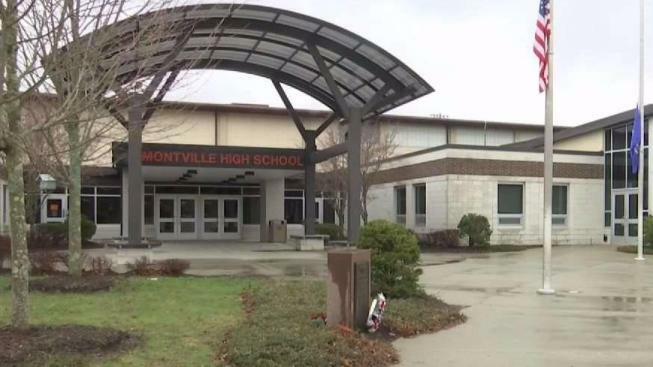 "The incident that occurred in a high school classroom was unacceptable but it is an exception to how Montville Public Schools operate — it does not illustrate the priority we place on student safety," Pallin said in a prepared statement. The arrests stem from an investigation that began in December after a social worker, a DCF juvenile court liaison, said a 15-year-old student in her court was showing signs of having been traumatized and said three other students at Montville High School had robbed and beaten him at school, according to police and arrest paperwork. Patten told investigators in January that a guidance counselor told her on Oct. 6 a parent had reported a "slap boxing" incident and that Fish might be involved, but at the time there was no evidence that anything happened. Two days later, Theodoss forwarded Patten an email with video that he had received from Levesque reportedly showing two boys fighting in a classroom. The superintendent asked Theodoss if it was recorded at the school, and Patten confirmed that it had. The assistant principal had initially told investigators that she wasn't aware of a "fight club" at the school until Oct. 10, according to state police. Theodoss told police that he had asked Levesque if police should be notified and the superintendent said "no." Patten said she received a text message from Theodoss instructing her not to say anything to anyone, according to a police warrant. In an interview with police, Levesque said he did not think about contacting police because he felt the issue was resolved after he fired Fish and the students involved in the fight were disciplined, he told police. "Levesque stated that he did not think it was criminal and thought it was a one-time incident and thought that it was maybe a mistake," the officer wrote. No one reported it to the Department of Children and Families or police, as is required by law. "The law is very important to ensure child safety. Most mandated reporters take their responsibility very seriously. We get about 50,000 reports a year and 80 percent of those are from mandated reporters. They do a good job. It is vitally important that we have strong and effective mandated reporter system in place in,” Gary Kleeblatt, a DCF spokesman said in a statement. The board of education in Montville held a special meeting Thursday at the Montville High School library at 5 p.m. to discuss a "personnel matter related to the incident at the high school." The meeting went into executive session and officials declined to make any public comments on what was discussed. Levesque, Theodoss and Patten are due in court on May 3. Levesque and Patten did not immediately return messages left at their homes. NBC Connecticut was unable to immediately reach Theodoss.